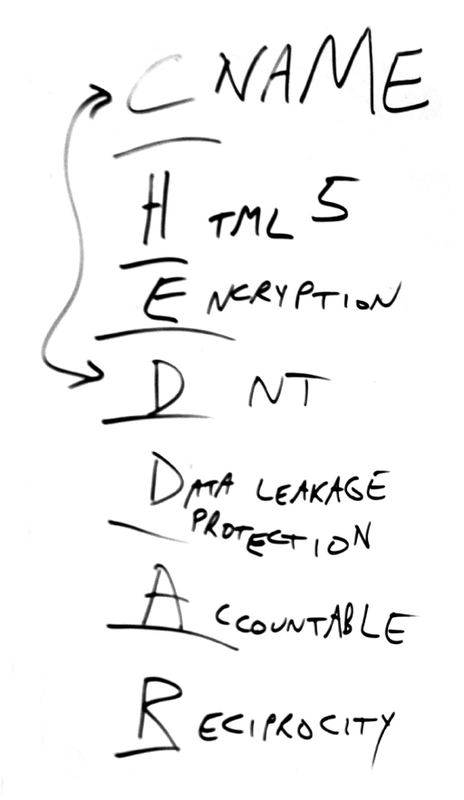 That line, scribbled on a whiteboard at VRM Day recently at the Computer History Museum, expresses the unspoken social contract we’ve always had with ad-supported print publications in the physical world. But we never needed to say it in that world, for the same reason we never needed to say “don’t follow me out of your store,” or “don’t use ink that will give me an infection.” In the physical world, nobody in publishing or broadcasting ever would have considered doing anything so ridiculously ill-mannered. But following us and infecting our digital bodies (e.g. our browsers) with microbes that spy on us, is pro forma for adtech—the form of digital advertising that’s tracking-based—and the commercial publishers online publishers who have come to rely on it. 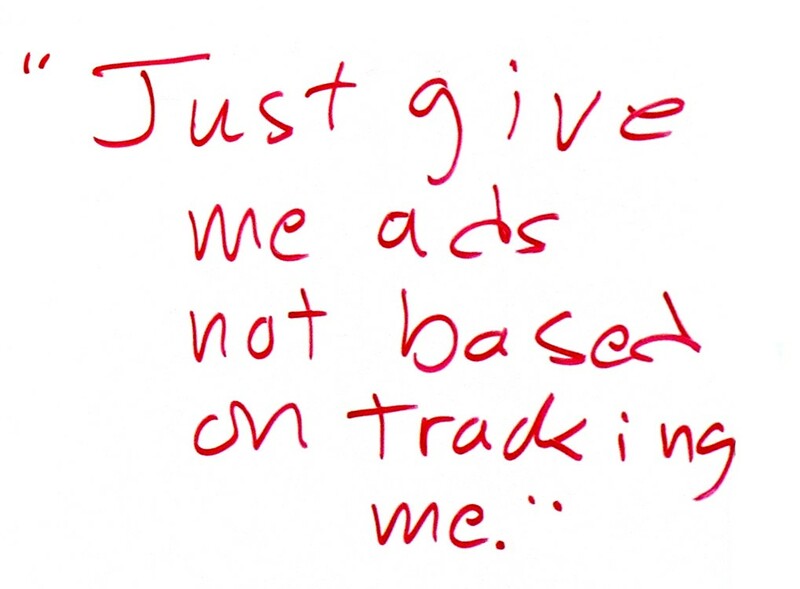 This is why Do Not Track was first proposed in 2009, and why since then hundreds of millions of us have installed ad blockers and tracking protection of various kinds in our browsers and mobile devices. 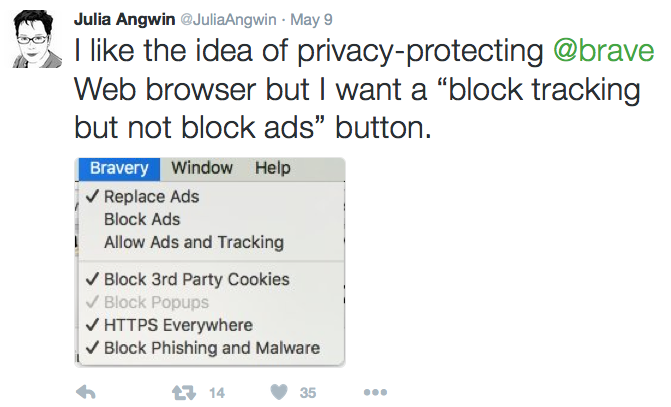 But blocking ads also breaks that old social contract. So, in that sense, ad blocking also ill-mannered, though not ridiculously so. So let’s take a constructive approach here, and ask what we can do to restore the old offline social contract in the online world, for the good of publishers that are stuck in their own ill-mannered death spiral? 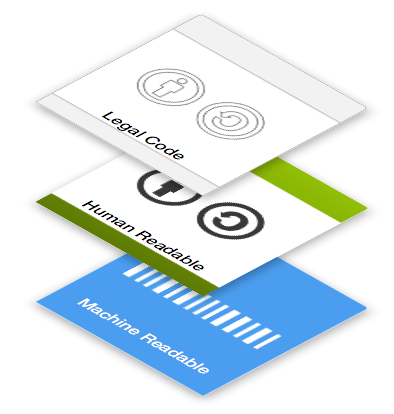 The Creative Commons model for legal code readable by all interested human and inhuman parties. It will work because it’s a good one for both sides. Individuals issuing the offer get guilt-free use of the goods they come to the publisher for, and the publisher gets to stay in business — and improve that business by running advertising that is actually valued by its recipients. 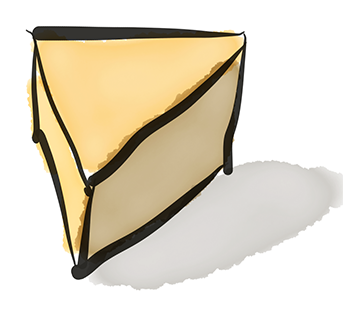 For the A in CHEDDAR, if we want the NoStalking agreement o be accountable from both sides, it might help to have a consent receipt. That spec is in the works too. What matters most is that individuals get full respect as sovereign actors operating with full agency in the marketplace. That means it isn’t good enough just for sites to behave well. Sites also need to respond to friendly signals of intent coming directly from individuals visiting those sites. That’s why the NoStalking agreement is important. It also matters that the NoStalking agreement may be the first of its kind in the online world: one where the individual is the one extending the offer and the business is the one agreeing to it, rather than the other way around. You can also mine the oeuvres of Bob Hoffman and Don Marti for lots of other material that makes clear that the best advertising is real advertising, and not stalking-based direct marketing that only looks like advertising. Bonus link: Time for THEM to agree to OUR terms. Originally published at blogs.harvard.edu/vrm on May 11, 2016. Author of The Intention Economy, co-author of The Cluetrain Manifesto, Fellow of CITS at UCSB, alumnus Fellow of the Berkman Klein Center at Harvard.